Size(pxl):Similar to the above Image Not sure on the size ? 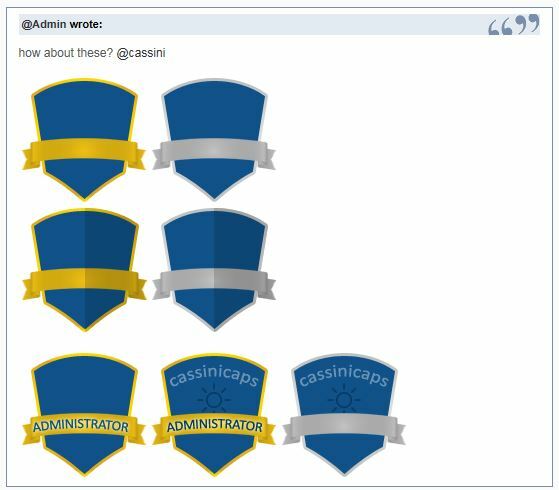 Text or Image to include: Different colour for Admin, Capture Artists and Members. A red Microphone on the shield an weather icon like the header. Here is the other link to my other site that you done shields and header for to get the idea. 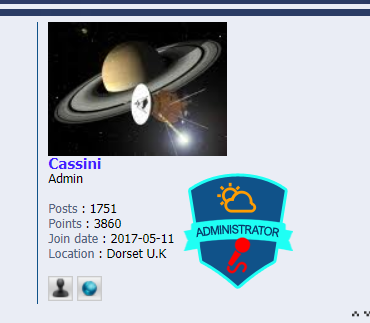 If the images in the shields do not fit then we could try one of each, I know that you done two shields on my Cassini Caps site. I hope that helps a bit ? The shield that you have made is slightly too big. The second is from the admin panel, these sizes will do as Ape said he will do the installing for me when he has time. Can you do the second shield with Reporter Captures please ? 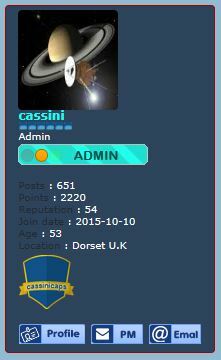 @cassini wrote: Can you do the second shield with Reporter Captures please ? Yes to give a member of a choice of two shields like I have on my other site. I see your point and agree, the wording would be too long for Capture Artist so will go with just Artists. I will have a look in my profile of posts on here for the correct size of shield you done for me last time. I have typed "How to find an image url" in search and cannot find anything. anyway, is your request solved? No I am playing around with colour codes, I am off to work in half an hour. Also would like to see a Shield with reporter captures, maybe be the cloud symbol white and the sun yellow. ? I hope that helps ? @cassini wrote: Also would like to see a Shield with reporter captures, maybe be the cloud symbol white and the sun yellow. ? I like them very much I tried to make the Admin colour lighter due to the blue similarities of Members. However I like what you have done very much appreciated. Have you the codes ? At least keeping the icons and colours from the header the same makes it uniform. I assume when you say codes you mean image urls?